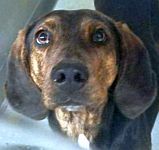 Galax Carroll Grayson Animal Shelter is a small rural facility in the southwest of Virginia. While Galax Carroll Grayson Animal Shelter is not yet a no-kill facility, this is a goal we strive to achieve each and every day. We are also fortunate enough to work with some amazing rescue groups and dedicated individuals who help us move animals to safety each and every week. .
Becky, a shelter volunteer, has made it her passion to care for shelter cats. Here is what she says about volunteering at Galax Carroll Grayson Animal Shelter: "Being a volunteer is wonderful! There are so many different needs in the shelter that each person that volunteers can find a fit for their preferences and the amount of time he/she has to offer. I love interacting with the cats (but I love dogs too) and I am rewarded every time I am there. Kitten/puppy season is coming soon so we need all the help we can get!" If you would like to help please phone or visit us during our opening hours. Stray dogs and cats are kept for 5 days before being put up for adoption. Contact the shelter to check whether your pet is there. Some of the stray dogs and cats are featured on our Facebook Page but not all are put here so contact the shelter if you have lost your pet. Almost half of the stray dogs that are brought into GCGAS have collars on them. Sadly, our local average for reclaims by the owner is around 15%. So out of 14 dogs that come into the shelter, only 2 will go back home. The very day your pet goes missing, call your local animal shelter and leave a description of your pet. Better yet, take by a flyer with their picture. Check the shelter with your own eyes. Your blue may be my black. Once the stray hold has expired and the animal has found a new home, chances are slim of you ever getting your pet back. Microchip your pet! It works like a licence tag on a car. Every pet that comes into the shelter is checked for a microchip. Please keep your contact information up to date (phone numbers, address, e-mail address). Keep tags on your pet at all times. County/City Rabies tags must be kept on pets collars at all times. We can use these to get your pet home. Post your missing pet on social media. 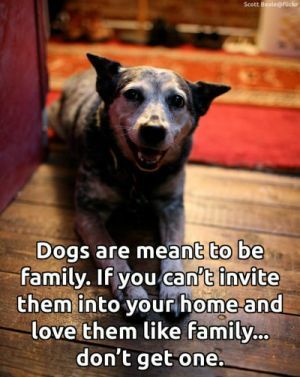 Every day, pets find their way home without even coming to the shelter. Post them on the Galax-Carroll-Grayson Lost and Found Pet Facebook Page. Never take the collar off of your dog. It seems that most pets run off on the rare occasion that the owner takes their collar with ID off. Finally: Check back at the shelter for the weeks following your pets disappearance. We have had dogs reclaimed that had been missing for a year! We need canned cat food, puppy potty pads, canned dog food, kitten chow (canned or hard), puppy chow (canned or hard), basic cleaning supplies, towels, blankets, and dog beds or you may mail a donation to Galax Carroll Grayson Animal Shelter, 200 Fair Street, Galax, VA 24333. On behalf of the animals thank you. Please take the time to check out all the nice young kittens and cats kittens and cats here. Please contact us for more information about the cats available for adoption.